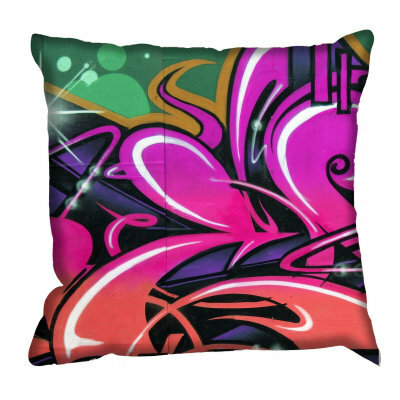 Grafitti style imagery in vivid pink and red. Printed on 100 Cotton Panama. 43cm square supplied with feather pad. Colours Madisen Fuchsia Plain Rug (L)1.7m (W)1.2 m.This medium hand woven fuchsia rug has a plain design and will bring warmth and texture to a wooden floor.